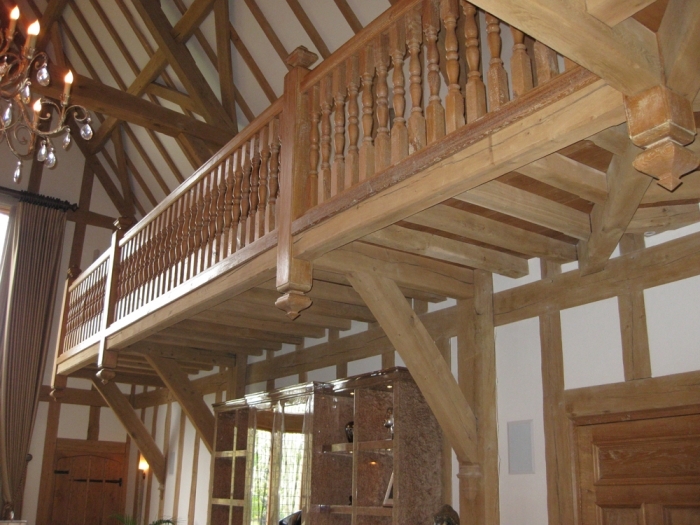 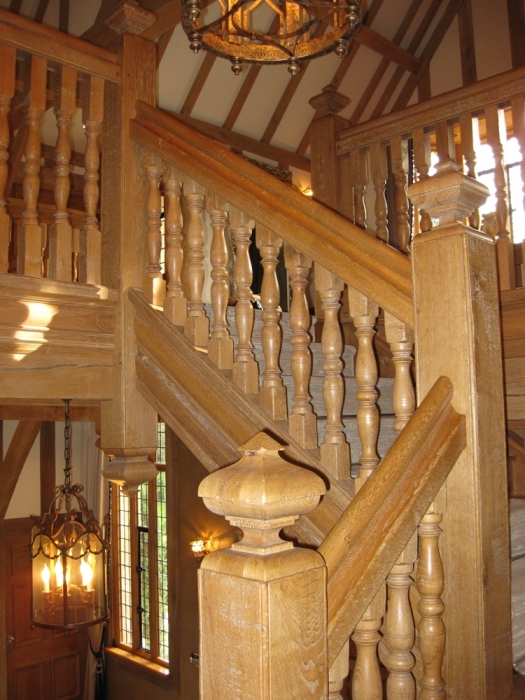 Bespoke oak stairs and balustrades are one of our specialities; complex, intricate and beautifully joined works of art that make a centrepiece of any home. 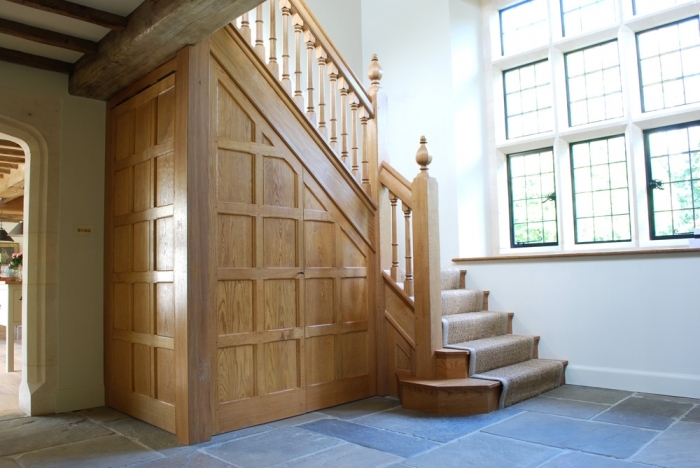 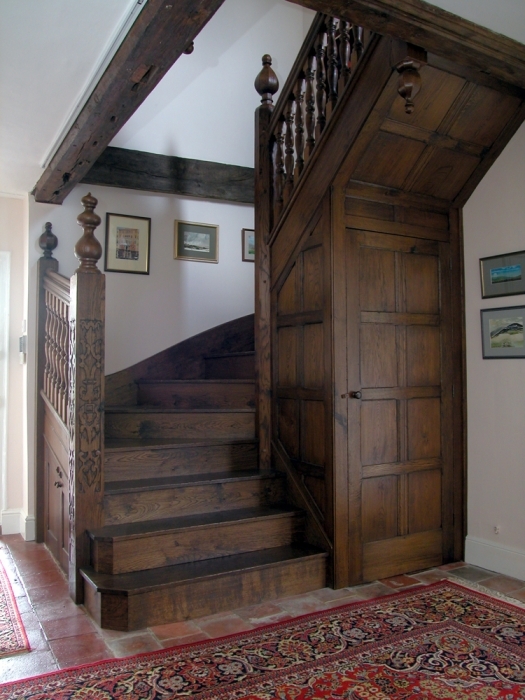 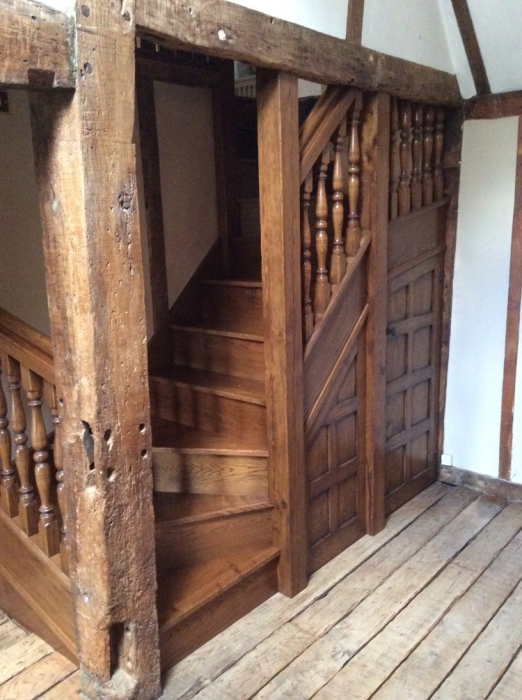 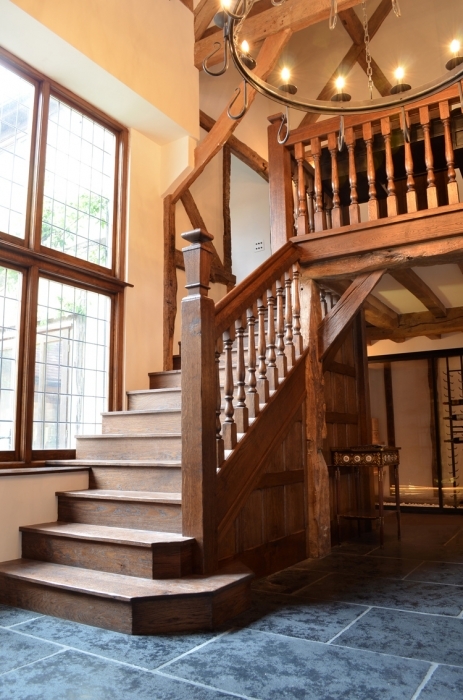 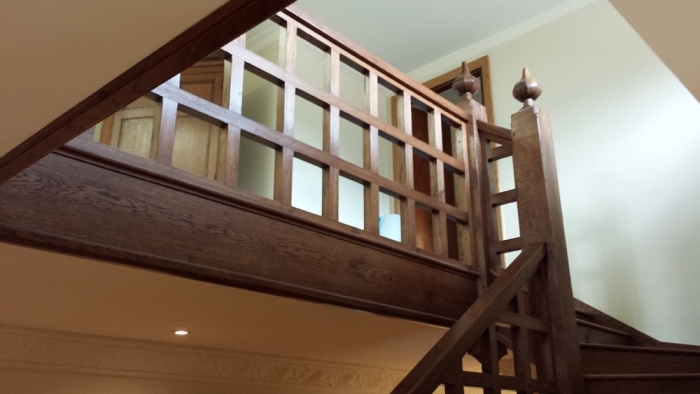 We have 41 years of experience creating stunning oak staircases to bespoke joinery specifications for private and heritage clients throughout the UK and Europe. 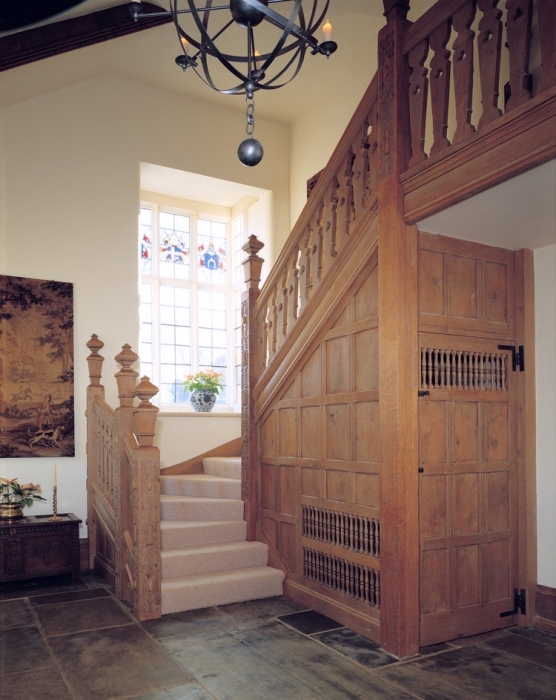 Specialising in authentic quality 16th and 17th century styled pieces we provide a highly personalised service with exquisite attention to detail creating truly unique pieces of woodwork that become a beautiful focal point in a small cottage or the grandest property. 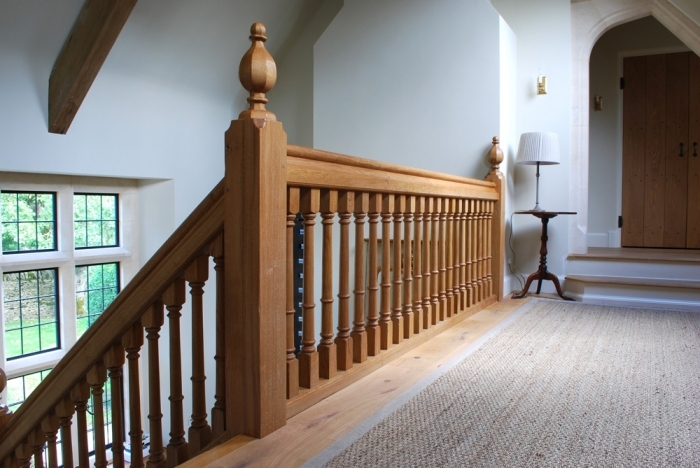 Truly bespoke specification is everything in our stairs and balustrades; we don’t just build them to fit, we create a truly personalised piece of authentic hand crafted woodwork that integrates beautifully into every floor of your home. 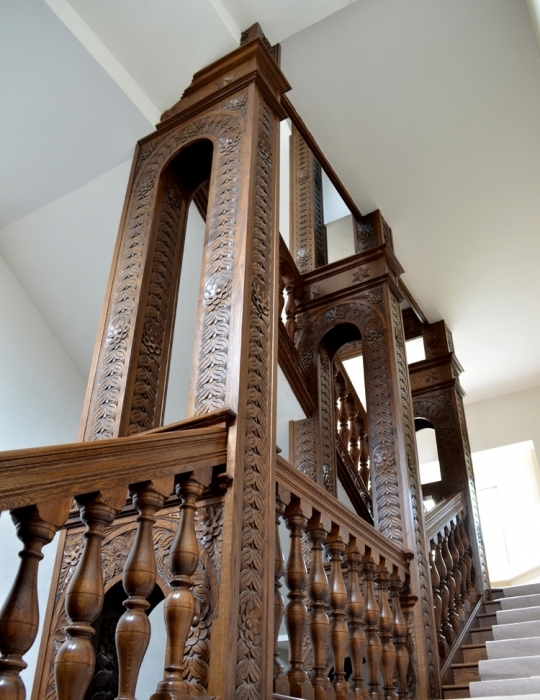 From the shade of oak and basic shape to the fine details of hand carving, spindles, splats, newels, caps and the thickness of the moulding on each string; each piece is truly unique and crafted only for you. 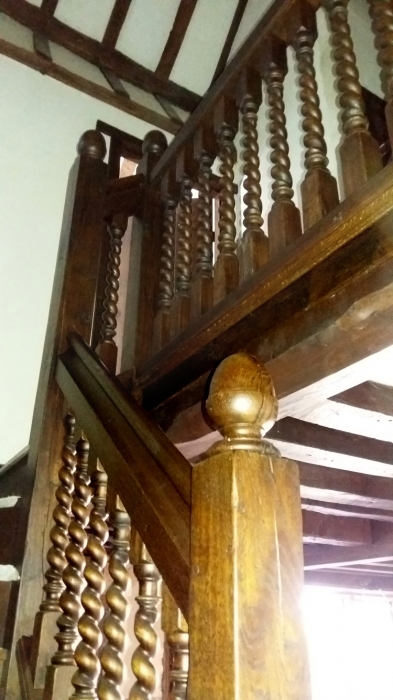 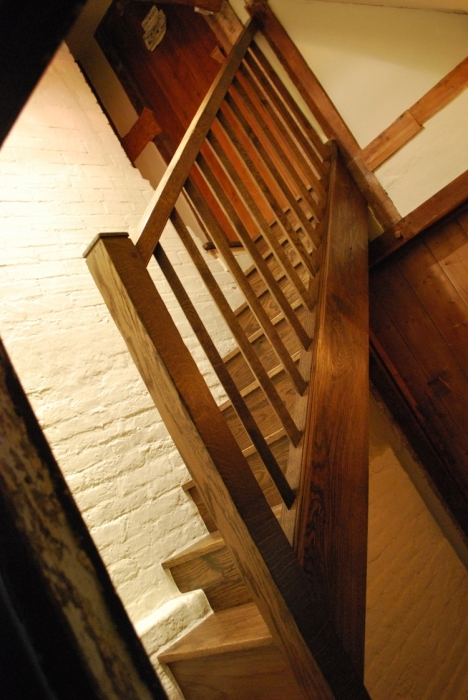 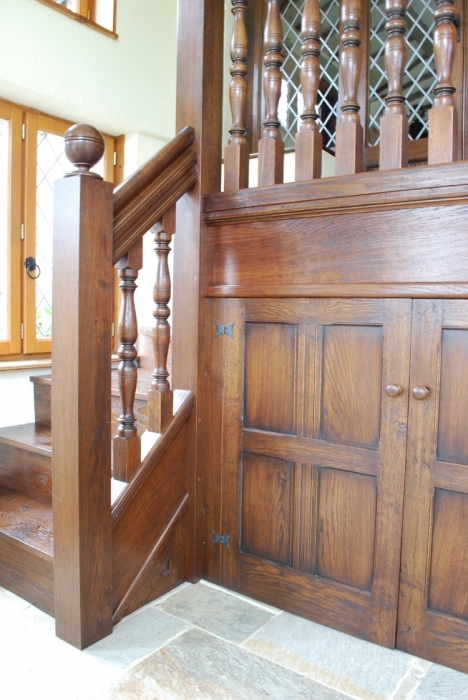 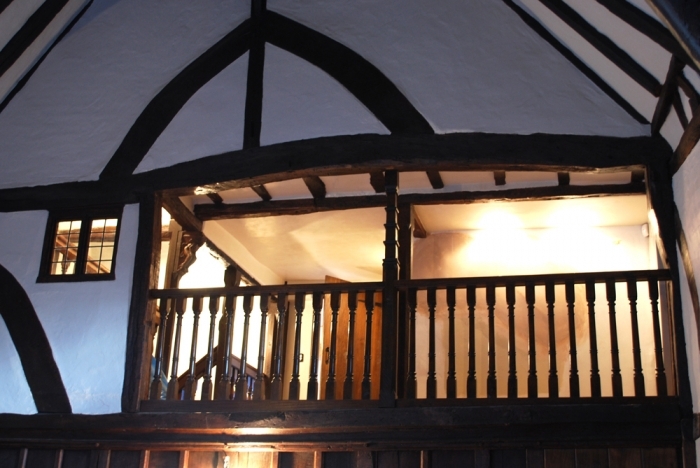 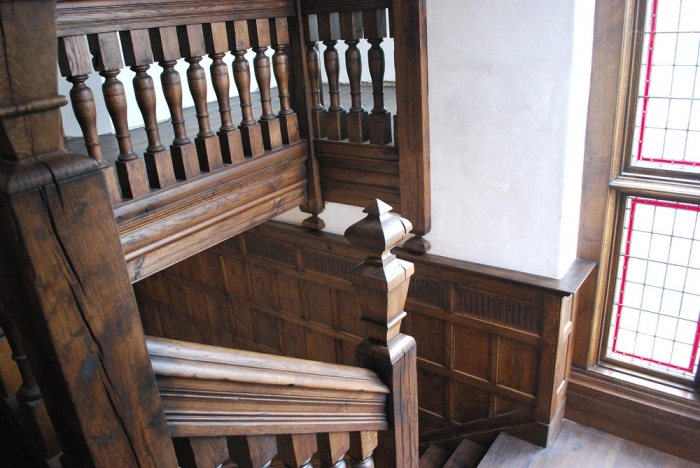 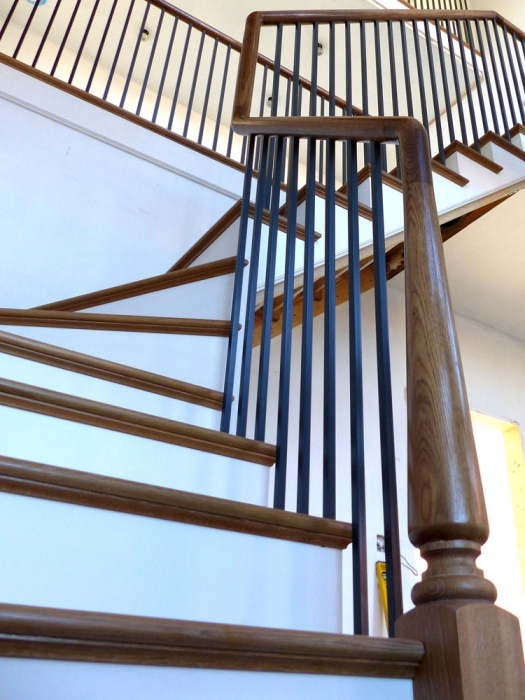 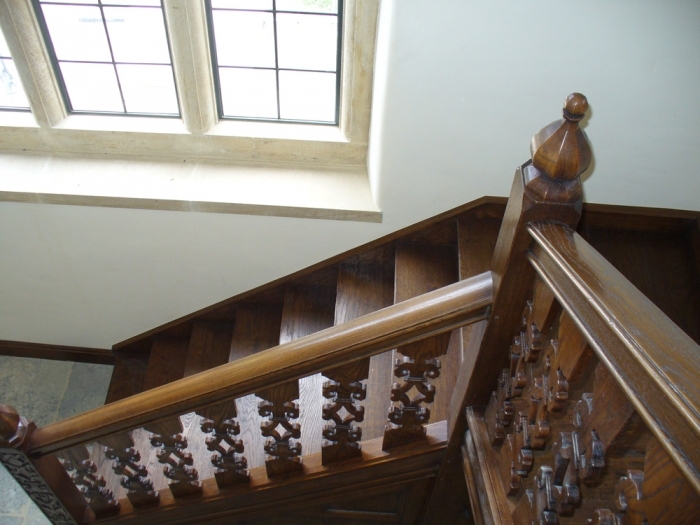 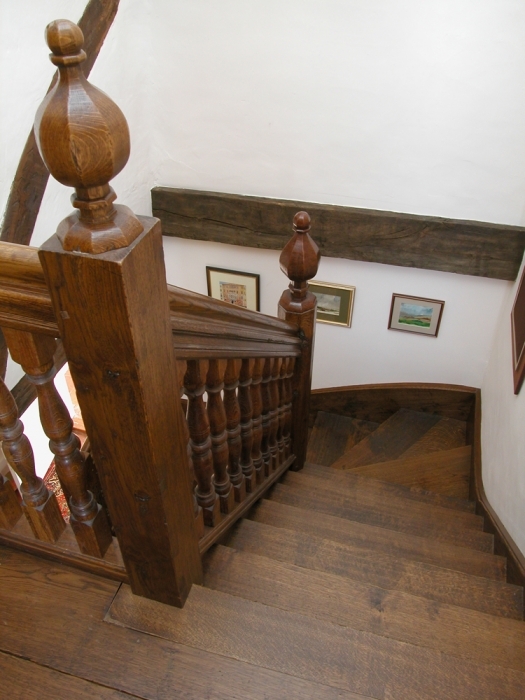 However plain or elaborate, striking or complex you picture your ideal staircase and balustrade to be, Deacon and Sandys can create it in the finest oak with traditional hand crafted techniques. 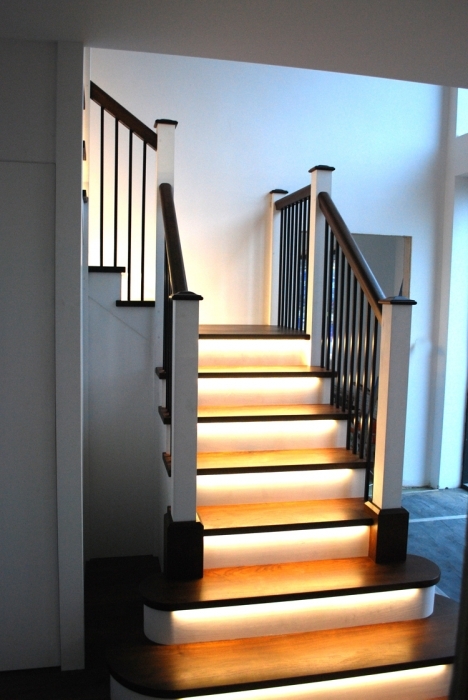 Contact us today to learn more or arrange an initial consultation.